Waterproofing chemicals Any system or material (s), which helps in preventing ingress of water into structures, can be broadly termed as waterproofing. Waterproofing is defined as treatment of surface or structure to prevent the passage of water under the hydrostatic pressure. Solvent Based Oligomeric Siloxane Water Repellent Product.Dubond's HydroShield S Waterproofing is a silicone concentrate that is based on silane / siloxane. It is colorless,hence maintains natural color of the substrate. Dilute solutions of hydroshield s in organic solvents serve as high-quality general purpose water repellents for impregnating and priming mineral and highly alkaline substrates. 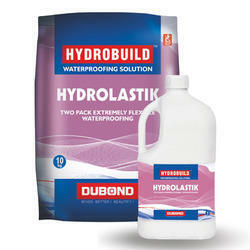 Dubond'sHydrocoat is one pack, flexible, cement-based capillary waterproofing with carbonation inhibiting properties. It adheres to all types of surface which provides a solution to leakage, seepage or ingress of water /moisture in concrete by sealing capillaries and shrinkage cracks in both positive and negative side of the structure. Hydro coat penetrates into pores of substrate by capillary action and is channeled to the lower depths of concrete by inherent moisture therein, including those occurring even in the smallest pores and capillaries. Hydro Coat reacts with moisture and creates a continuous barrier of insoluble minerals as the product consists of high strength binders, selected silicon / quartz mineral charges with synthetic fibers and specific additives. The capillaries are permanently blocked to the passage of water. However, vapour may pass through allowing structure to breathe. Rate and penetration of minerals depends on presence of moisture, free lime and density of concrete. Being an integral part of the concrete structures instead of merely being a surface coating or membrane that can damage or delaminate. Can be used on all types of substrates. Does not require special protection during back filling, placement of reinforcement or other procedures necessary to protect a surface type waterproofing system. Penetrates deep into the capillary tractys and shrinkage cracks and can seal both positive and negative side of concrete structure. 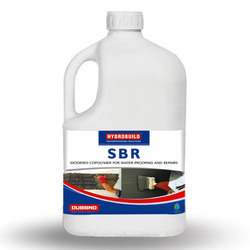 Protects against water borne corrosive chemicals that can cause corrosion of reinforcement. Non- reacted chemicals remain active and will react in contact with water providing additional protection against leakage. With stand high and low temperature. Two Pack Extremely Flexible Waterproofing.Dubond’s Hydro Lastik extremely flexible two-part water-proofing for brush, trowel, roller or spray application. Suitable for hydraulic works in general, foundation walls against the ground, swimming pools, terraces and balconies. Component A is a waterbased special acrylic resin and component B, is a mortar based on a mixture of specialminerals, additives and well-graded aggregates.Once applied and cured, Hydro Lastik provides a non-toxic, flexible and waterproofcoating with very high adhesionon those common substrates in construction such as concrete, natural and artificial stone, traditional mortar plasters, bricks, concrete blocks, etc. Acrylic Modified Emulsion & Waterproofing Additive for Mortar & Concrete.Dubond's Hydro Crete Waterproofing is an acrylic emulsion which when added to cement mortar / concrete / grout provides good adhesion, water resistance and improvement of other properties. Integral Waterproofing Compound for Concrete.Dubond's Hydrobuilder LW Waterproofing is specially formulated integral liquid waterproofing compound composed of surface active plasticising agents, polymers & additives. It is used as an additive for cement concrete, mortar & plasters. It makes concrete cohesive and prevents segregation. 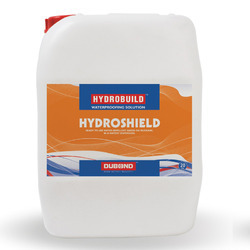 Hydrobuild LW is an integral waterproofing admixture for concrete and mortar which chemically converts the water soluble compounds present into concrete/mortar into stable water insoluble compounds. 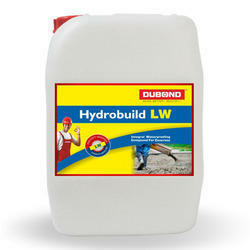 It is used in all types of concrete/mortar requiring water impermeability. It is based on high performance polymers. Conforms to IS 2645 : 2003 and IS 9103 – 2000 standards. 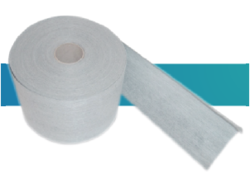 Waterproofing Strip is a ready-to-use, thin, strong yet flexible alkali-resistant mesh for embedment with waterproofing and crack-isolation membrane on residential and commercial floor joints & corners. Hydro Lastik Strip 160 reinforces and improves the performance of Hydrobuilds waterproofing products when applied over cracks, coves and corners and around drains on residential and commercial applications. It has excellent compatibility with all cement- or epoxy-based mortars. Indoor & Outdoor waterproofing treatment of the corners between walls & floors. Between Adjacent walls and for dividing joints. 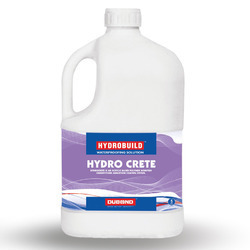 Used in screeds waterproofed with Hydrobuilder waterproofing products. Styrene Butadiene Rubber Latex Emulsion for Bonding. Dubond’s Hydrobuild SBR Latex waterproofing is modified Styrene Butadiene Rubber emulsion specially designed for use as a bonding agent. It is suitable as an admixture for obtaining waterproof concrete, plasters and mortars it is also suitable for preparation of repair mortars. Damaged and spalled concrete repair of large cracks. Packaging Details: 500ml, 1ltr, 5ltrs & 20ltrs. Ready to use Waterproofing Paste in Watery Dispersion. 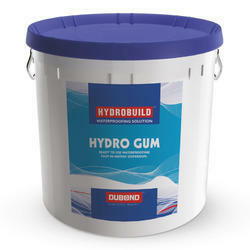 Dubond’s Hydro Gum is a ready to use paste in watery dispersion acting as a bonding agent suitable for the waterproof sealing of expansion and deformation joints. The high elasticity and water-resistance of Hydro Gum ensures the hydraulic resistance of Hydro Lastik strip 160 waterproofing joint, even when it is subjected to extreme thermal and mechanical stress. Aqueous Dispersion Consolidating & Insulating Primer.Hydro Prime Waterproofing Insulating Primer is water based synthetic resin micro emulsion in aqueous dispersion concentrated surface insulation priming product that reduces and regulates the absorption of water in highly porous substrates. 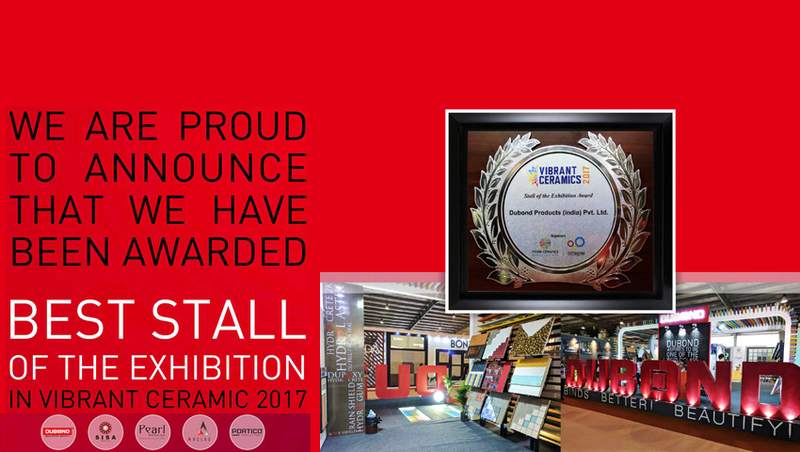 It is characterized by high penetration on porous substrates such as cementitious, anhydrite screeds, gypsum based plaster, plasterboard, etc. Professional, superior technology, concentrated water based surface insulation product which neutralizes the expansive chemical reaction of anhydrite screeds, gypsum-based plaster on contact with cement based adhesive , stabilizes the surface consistency by suppressing the dust. Hydroprime does not produces the fumes that may be harmful to humans or to the environment, Hence it can be safely used with no contradictions in internal environments. The technology ensures excellent workability in all conditions , thanks to the wide water range, depending on the specific characteristics of the substrate. Heavy Duty Reinforced Acrylic Waterproofing Coating For Terrace. useful for terrance waterproofing and roof waterproofing.Dubond's Roof Shield Terrace Waterproofing is a heavy duty terrace waterproofing system, composed of specially developed highly elastic & resilient acrylic polymers, properly selected & graded fillers, light fast & weather durable pigments, micro-fibres, additives & best quality fungicidal in water medium. 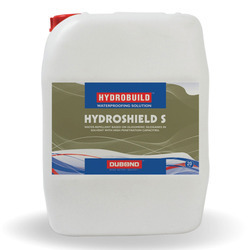 it is used as a liquid applied waterproofing membrane for all types of building terraces. Dubond's Roof Shield is a three-layer system with coats in different colours ensuring proper build-up of the thickness, making it a reliable waterproofing system. 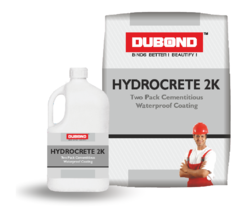 Two Pack Specialize Binder Waterproof Coating.Dubond’s Hydro Crete 2K is a two component binder & acrylic flexible waterproofing & protective coating system composed of specialize binder cement with high performance additives & acrylic emulsion polymer. It is applied to waterproof and protect concrete and similar structures. 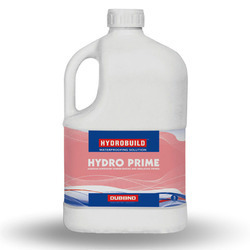 Specially formulated for swimming pools, retaining walls, pile heads, water tanks, submerged tunnels, sumps, bridge decks, marbles, granites and a wide variety of extreme service class structures because on curing it forms and excellent elastomeric, waterproof & protective layer over the substrate. Single Pack, Crystallization Waterproofing System.Dubond's Hydro Coat Osmocem is a mortar with crystallizing osmotic action for water proofing concrete and masonry work against rising and descending damp. It is a single component, thixotropic and resistant to positive and negative hydraulic pressures. 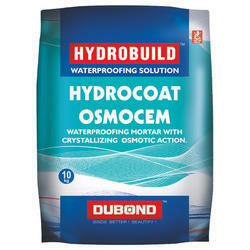 Hydro Coat Osmocem reacts with moisture and creates a continuous barrier of insoluble crystals. The capillaries are permanently blocked to the passage of water. However, vapour may pass through allowing structure to breathe. Rate and penetration of minerals depends on presence of moisture, free lime and density of concrete. 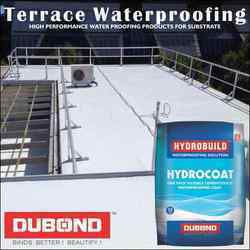 Acrylic Elastomeric Exterior Waterproofing Coating.Dubond's Rain Shield Exterior Waterproofing is composed of high quality acrylic emulsion polymer, light fast & weather durable pigments, properly selected & graded fine fillers, additives & biocides. It is used as a waterproofing & protective coating for exterior walls of the buildings. Applicable on all types of exterior masonry surfaces, concrete, cement sand renderings, etc. Applicable also on asbestos sheets. Hydro Lastik Net Waterproofing is a ready-to-use, thin, strong yet flexible alkali resistant mesh for embedment with waterproofing and crack-isolation membrane on residential and commercial floors & walls of sunk portions and top roof terrace. Fiberglass Mesh reinforces and improves the performance of Hydrobuilds waterproofing products when applied over cracks, coves and corners and around drains on residential and commercial applications. Fiberglass Mesh can be cut to size with scissors or a razor knife, and has excellent compatibility with all cement- or epoxy-based mortars. Reinforcement for waterproofing of toilet & bathroom sunken portions. Reinforcement for waterproofing of kitchen wash area. Reinforcement for waterproofing of top roof terrace. Reinforcement for waterproofing of water bodies where hydrostatic pressure exists.